While working on some posts in honor of Women’s History Month, I froze up in frustration and needed a break. On every list I made, of badass female writers or books about epic women in history, I’d inevitably realize I’d left someone out. It feels impossible and somewhat judgmental to say “these women are extraordinary” and leave some out. 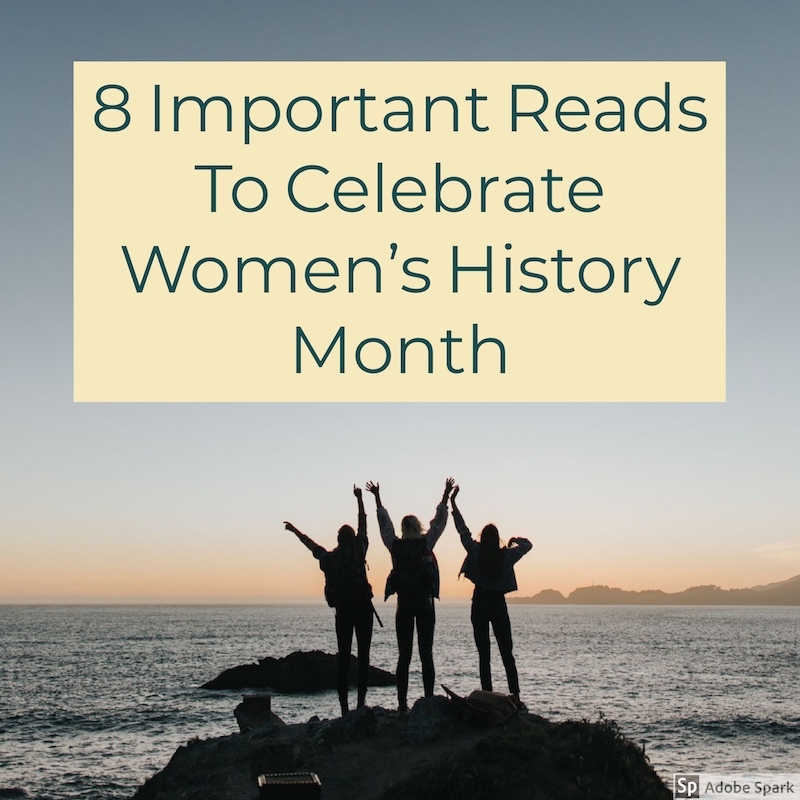 So here are what I consider to be eight important and groundbreaking books written by women, even though I know there are so many many more! I’ve been meaning to get to this for years and it’s finally on my TBR for this year. I’ve always appreciated the backstory, that Shelley wrote this as a short story for a competition with her husband a few friends, to see who could write the scariest horror story. As a writer, it inspires me to write whatever comes to me and not worry about what I’m going to do with it later. 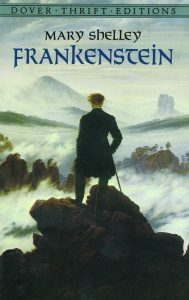 Also noteworthy is the fact that Frankenstein (originally titled The Modern Prometheus) was first published anonymously. On an episode of Liz Gilbert’s podcast Magic Lessons, she talks with writer Neil Gaiman about the theory that most writers fall under a category of “dolphin” or “otter.” Dolphin writers are genre writers, they can crank out book after book in the same style and format and do it well. Otter writers are more whimsical, creating many different types of things, and may or may not be able to do the same thing twice. Liz talks about how her publisher was not happy about The Signature of All Things being her follow up to Eat, Pray, Love. This is an epic historical fiction biography of a female botanist. Gamin replies something like “Yeah, I bet they wanted you to write Eat More, Pray Again, Love A Lot,” and Liz says that’s pretty much the case but she couldn’t do it. 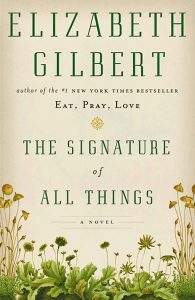 I loved The Signature of All Things when I first read it a few years ago. 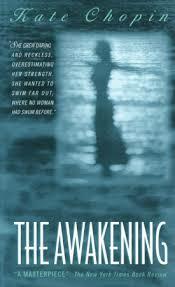 I’ve recommended it to my fellow literary fiction lovers and historical fiction buffs. But it’s one of those books that’s not for everyone. I picked it for my book club and it wasn’t widely liked. After hearing Liz talk about it, I love the book (and its author) even more. It’s a beautiful sprawling story of a woman’s life and I appreciate knowing it came from a place of absolutely needing to be written and published, regardless of the potential consequences. I read this for my book club a couple years ago, and it stands as one of the few titles everyone enjoyed and had a passionate response to. I came home raving about it, so my husband was inspired to read it. I eagerly awaited him to finish and held my breath waiting for his response, but he just shrugged and said he “didn’t get it.” We always agree to disagree when it comes to books so that’s not a big deal. Yet I found it fascinating that all the women I knew who read this book were moved so strongly by it. It’s a powerful read because at the time (first published in 1889), the subject of a woman who wants to leave her marriage or live on her own was extremely taboo. This book is widely acknowledged as a landmark in the rise of feminist literature, which is particularly significant because Chopin was unable to publish her works after this one. It was widely accepted that she had “gone too far” in exposing a women’s sexuality for the male dominated world of publishing at the time. I recommended this to my niece a couple years ago (she’s 12 now) when she was particularly struggling to find reading material she enjoys as much as Harry Potter. She was quite underwhelmed, so we had a discussion about what groundbreaking means! When this was first published in 1962, it was ahead of its time. 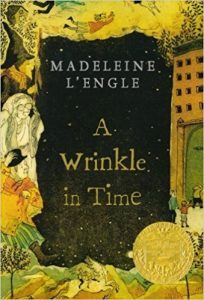 From Wikipedia, “Scholar Jean Fulton writes, “L’Engle’s fiction for young readers is considered important partly because she was among the first to focus directly on the deep, delicate issues that young people must face, such as death, social conformity, and truth…” With the current selection of Young Adult literature and magical worlds, it’s easy to see how this one wouldn’t stand apart for a young reader. It’s important to remember what lead the way and teach the younger generations why this “old stuff” matters! Another groundbreaking literary work along the same lines as #3, this gorgeous coming of age story doesn’t necessarily seem exceptional next to more modern works. First published in 1943, ATGIB follows Francie Nolan through the majority of her life, while exploring the topic of poverty, alcoholism, war, education, and the idea of The American Dream. Many of these were not commonly addressed in literature of the time, particularly not with a female protagonist. Even though I knew a little about the history of radium, this book blew my mind. I had no idea radium was used so widely., or that so many people suffered because of it. 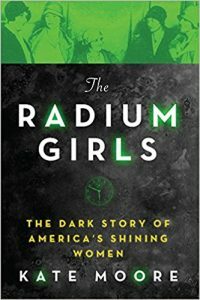 This book is fascinating on scientific and historical levels, yet where it stands out most is with the intensive personal histories of the Radium Girls. Getting to know the girls makes their plight all the more heartbreaking. I was fully engaged from the first page to the authors note at the end, and I’m constantly amazed that when I talk about this book, people have no idea what I’m talking about. If you’re a woman aged 35-45, chances are you learned a lot about life from Judy Blume! 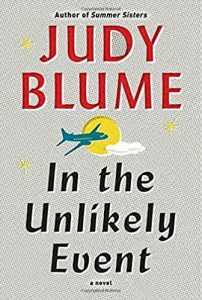 What makes In the Unlikely Event exceptional is that it is one of only four adult novels Blume has written (in addition to her 20+ novels for kids and young adults) and the first adult book she wrote in 17 years! 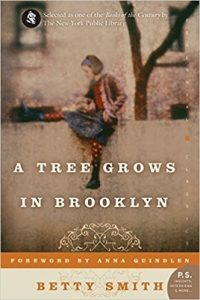 We follow 15-year old Miri, along with her her family and friends, as they deal with three separate plane crashes which occur in their town of Elizabeth, New Jersey. That also happens to be Blume’s hometown, and the novel is based on three actual plane crashes that took place in there over the course of 58 days. From Wikipedia: “The first accident occurred on December 15, 1951, with the plane crashing into the Elizabeth River. The second crash happened on January 22, 1952, and nearly hit the Battin High School for girls. The last crash was on February 11 of the same year and narrowly missed an orphanage.” It’s a thoroughly enjoyable novel, the backstory of which makes it even more interesting, and it Blume’s talents shine through on every page! When I read this memoir last year, it didn’t exactly knock my socks off. It probably would have resonated with me more if I was a mother or a career woman. What I appreciate about it most is it’s not a one-size-fits-all self-help sort of book. 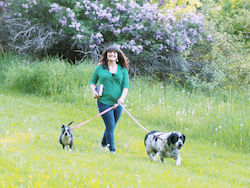 Rhimes made big changes in her life, which started small. I love that she can trace her desire to make those changes back to a single phrase uttered by her sister. 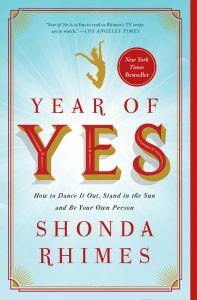 Recognizing the changes she wanted to make is hard enough, but following through with her year of yes took a ton of courage and strength. It’s an inspirational story for sure!